People usually imagine a spiritual person as a monk dressed in a bedsheet with a few personal belongings and teaching stuff they know for free. 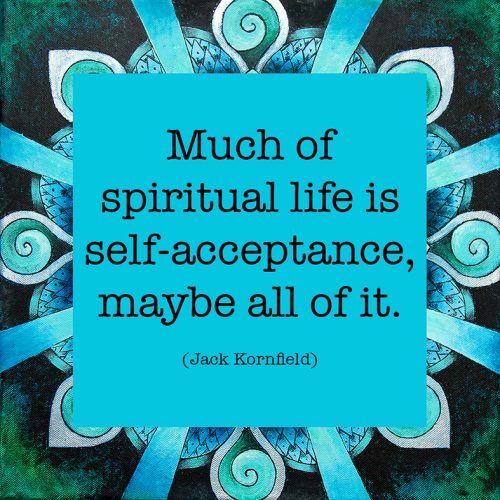 “Spiritual” has become a commonly used word for many things and marketing niche for products or services that’ll make you happy, so I believe it has kind of lost the original meaning. In my opinion, spiritual living is a choice and it’s based on the values you prioritize in your life. Spirituality doesn’t mean you reject the materialistic world, it just means you don’t build your life around it. It doesn’t mean you don’t like to live in an amazing place, eat the best food, have quality clothes, drive in a safe car, travel to beautiful destinations, have a highly capable laptop, because you sure do like all of these things, you just don’t use them as a status symbol, self-worth expression or measure of happiness. You use them as a tool to create and experience life. Spiritual people sooner or later come to the conclusion that the main thing you need to focus on in life is a relationship to yourself. They don’t measure their happiness through the things they possess but by how connected they are to themselves and consequentially to others. Being spiritual means getting to know yourself more and expand to a new, improved version of yourself every day. I might explain these in details in another post. Based on everything written, we can see that each person is a spiritual being. It’s just a decision where we want to have our focus. Maybe this is the right place to ask ourselves: is our lifestyle more spiritually or more materialistically based? And more importantly, are we happy living that choice?